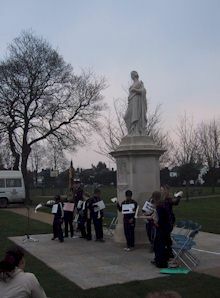 The Boer War memorial now stands in Broadgate Recreation Ground but originally stood prominently in Beeston Square, immediately in front of the then Public Offices, where it was unveiled in February 1904. 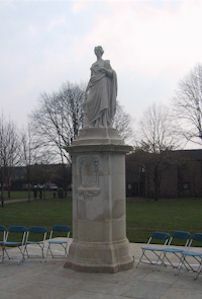 The memorial is in Portland stone and takes the form of a symbolic figure of Hope, on a raised pedestal, with one hand holding a wreath. while the other rests on a sacrificial altar of the early Roman type. 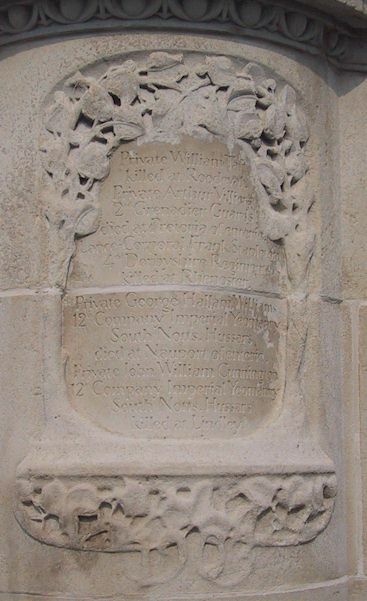 The design is by Mr A Marshall A.R.I.B.A of Nottingham who was commissioned after an open competition. 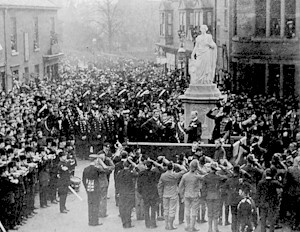 The photograph shows the unveiling by Colonel Rolleston, D.S.O., supported by H.W Cooper (Chairman of the memorial committee), Lieutenant-Colonel Browell and others. 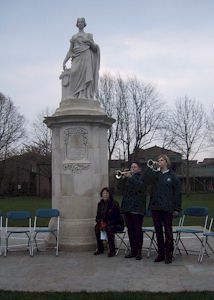 Rededication: On 31 March 2007, the Boer War memorial was rededicated at a new location on Broadgate Recreation Ground. The following photographs were taken at that time. I am indebted to Brian Kaighin for additional information relating to the place, date and circumstances of the death of these men. 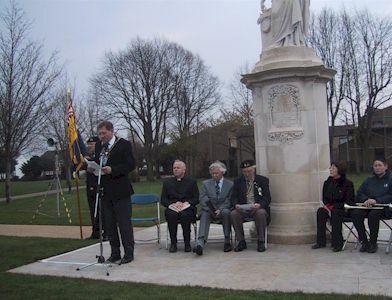 Brian specialises in aspects of the Boer War and maintains a comprehensive database of names.